The 13-year-old was recognized across the country for her donations to Camden medical clinics. Charlotte Olson, the 13-year-old West Berlin resident who collected 1,300 books for Cooper University Health Care in Voorhees last February, has sent yet another wave of literature to children across South Jersey. Outperforming her previous impressive distribution, Olson gathered 2,117 books from August to November, placing nine drop-off boxes around the area in Voorhees, Marlton, Turnersville, Berlin and Winslow. Olson was especially moved by the community’s contribution to her colossal collection. “It makes you feel like everyone is helping for one cause,” Olson said. 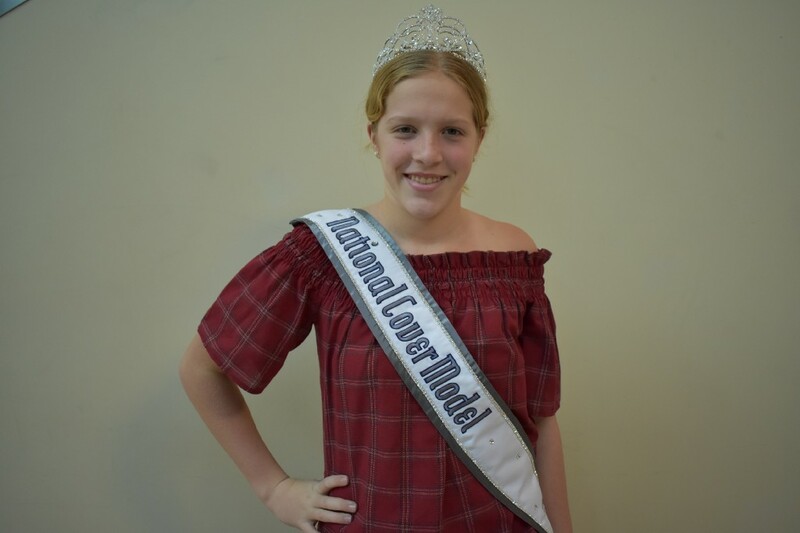 Also outperforming her Miss New Jersey Pre-Teen Cover Girl 2017 title, Olson’s latest charities were recognized on a larger scale, clinching 2017–2018 Miss Pre-Teen National Cover Girl Model in the National American Miss competition. For Olson, the first round of books just wasn’t enough to satisfy her helping hand. Olson competed among 108 fellow pre-teens from across the country, all of whom have also demonstrated impactful forms of community service. Olson’s award was just second to the top prize. The four-day event unfolded over Thanksgiving weekend in Los Angeles, exposing Olson to local attractions such as Hollywood tours and Disneyland. The pageant encompassed a scope of criteria echoing posie and service. The pageant only required a mere four hours of community service to be considered for Miss Pre-Teen National Cover Girl. Olson managed to obtain 40 hours, which excludes the 340 she had earned over the summer. Those 40 hours of collecting, transporting and distributing books aided children in need, particularly ill patients in Camden. Some 1,334 books were once again donated through the Reach out and Read organization. Roughly 670 of those were given to CAMcare Health Corporation Medical Clinic, where most kids don’t even own books, according to Olson. The remaining books were given to the Osborn Family Center, The Loft and Goodwill. Throughout the pageant, Olson also participated in a series of other competitions, including modeling and acting, which give her the chance to perform scripts from actual commercials such as Progressive Insurance and Domino’s Pizza. The fusion of fashion and benevolence fostered a balance within Olson. In 2018, she’ll be eligible for Miss New Jersey Junior Teen. The pageant criteria also requires 10 percent of community service. But, Olson hopes to shift her focus of favors elsewhere. Pressing pause on her book drive, she hopes to share her compassion among other areas of need, particularly a prom dress drive over the next few months. “I want to do something different to help, because you can only get so many books,” Olson said.